Reliance are pleased to announce the launch of a new, dedicated Motorised Linear Actuators catalogue. Containing full details and specifications for the whole product range, the catalogue is intended to be a useful reference tool in helping customers determine the right product for their application. The actuators, manufactured by Haydon Kerk Motion Solutions, are ideal for applications that require high performance and exceptional endurance. Reliance offer a full range of NEMA frame sizes from 8 to 34 in a wide range of force outputs, across three design formats – captive, non-captive and external. The motorised linear actuators are driven by a stepper motor which uses a precision nut rotated by the motor. The shaft is replaced by a lead screw which passes through and engages with the nut. Hence the motive force which rotates the nut generates a corresponding linear motion of the lead screw. This approach can greatly simplify the design of linear motion solutions, whilst using a thoroughly understood and economic technology. 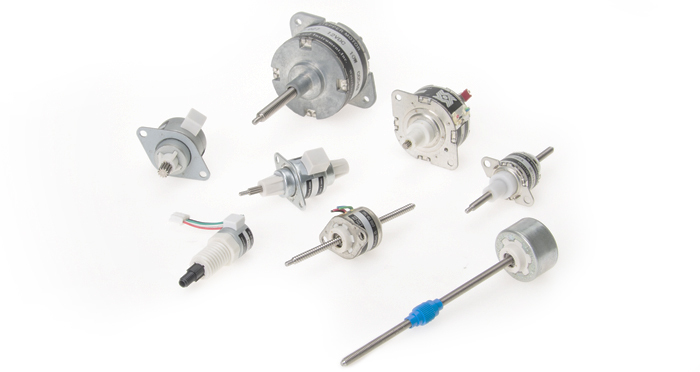 The use of stepper motors also means high resolution and accuracy can be achieved where precision motion is required, as the individual rotary steps of the motor deliver corresponding linear steps of the lead screw. Richard Wade, Reliance’s Product Manager for Catalogue Mechanical Products, comments “Although we’ve been a key distributor for Haydon Kerk for a number of years, we’ve found we’re not widely known for the supply of motorised linear actuators. The range not only complements the other catalogue products we offer, but also our approach to engineering in terms of precision, quality and reliability. The new catalogue contains a lot of technical information on the actuators range, explaining how they work, as well as detailing the correct selection process, ensuring customers get the right product for their application, with the reassurance it will perform accurately and reliably.” For more information and to download the actuators catalogue.